The science of Numerology proves that numbers all contain an energetic and vibrational weight. When numbers combine, they never fail to relay the predestined message within. Numbers are one of few unchangeable truths in the Universe, so this enables them to be an incredibly effective medium for divine communication to come through. Angel Numbers are an epic form of synchronicity from the Universe, containing a message from your Higher Self that will undoubtedly lead you along the right paths in this journey we call life. But first, we have to develop a stronger awareness to recognize this phenomenon as it occurs. If you are reading this article, chances are you have been seeking spiritual guidance on this topic, so you’re already developing a higher spiritual awareness! Triple number sequences, such as “111,” possess frequencies of energy that emanates the properties of the individual number, but amplified to a much more intense vibration. So for example, the number “111” emanates the properties of the Number One , but its energy is tripled in intensity. We discussed the energetic weight of the single-digit cardinal numbers, so now by understanding each those numbers, we can begin to understand the divinely deep and intrinsic meaning of Angel Numbers we continuously spot in our daily life. Below we have given a brief description of the triple-sequence Angel Numbers. Check it out, and next time you spot one, see if this relates to you! Angel Number 111 contains the vibrations of the 1 tripled, and Master Number 11. It sends us a message of confirmation; whatever your thoughts were at that moment are in alignment with your higher purpose and the Universe. Your intuition is strong, and you are always meant to see Angel Numbers at the right time. This one tells you that your thoughts are in alignment and probably correct, regarding the situation it is sending you a message about. Make a mental note of the thoughts in your consciousness at that moment, and keep them positive. You are actively manifesting and having a moment of awakening; be mindful of your thoughts, which will undoubtedly serve your lightworking and mission. Angel Number 222 lets you know you are being encouraged by a divine power to maintain a well-balanced life, utilizing duality of emotions alongside your sacred wisdom of the infinite. Whatever you were doing or thinking about at that moment, know that you can achieve it, even if it seems unimaginable at that moment in time – you are building. Your emotions are important, but intuition and down to Earth perseverance will benefit you because your goals are already coming to fruition. Your thoughts and intentions have already been sent out into the Universe, which is creating the future reality of you and the future of the collective. When this number appears, building is undoubtedly taking place taking place with a strong “worker” energy about it..
And remember, the Universe doesn’t discriminate content, and does not acknowledge a difference in positive versus negative – whatever you put out, the Universe will send those exact vibrational energies back to you at a later time. Choose thoughts that build a foundation of balance: mind and body, physical and spiritual, light and dark, speaking and listening. Angel Number 333 sends a message of divinely powered encouragement to utilize your creativity and down-to-earth nature, to become a teacher and leader within all things humanitarian. The ascended masters are with you when you see 333, and your current thoughts are in alignment with a high calling: a purpose of enlightening others, and leading the way with lightwork as part of your soul mission. You are an alchemist under phenomenally intense expectations, but who has the power to turn all aspects of life into whatever you want to. Creativity, psychic abilities, enthusiasm, and expression can be used to better influence the physical and spiritual world that surrounds you. You must put forth that alchemical vibrational energy to manifest for the good of all beings on planet Earth – but only with a frequency of unselfish, loving, and pure intentions. Angel Number 444 tells us that a beautiful reality is on the horizon – utilizing confidence in expression alongside physical order and organized strategy will benefit you now. The higher energies are with you at that moment, all you have to do is release free will and request their assistance…keep your inner and outer strengths equally ready for anything. You have the power of “The Worker” behind you now, so be sure to keep temperance a top priority. Temperance of your inner strength means to be flexible enough to transform, be destroyed, and be recreated again – that is what this life is all about. Angel Number 555 sends a message of inevitable and unavoidable change – it’s coming. What were your thoughts at the moment you saw Number 555? I f you were considering a change when it appeared, consider this a message from your Higher Self as validation that’s the correct path. We must let go of the old to make room for the new, which means releasing old habits, doubts, perceived obstacles, and fear-based thought patterns. The change coming can have both immediate and long term effects, so preparation, flexibility, and adaptability is required from you now. Change is approaching, and you have to hold the mindset of excitement toward that change, staying practical and stable in your methods of preparation while pushing fear aside. It could also be a reminder that you are currently not taking the steps necessary to prepare for the coming change, and you need to start right immediately. Angel Number 666 sends us a message of remembering that though we all have responsibilities here in the physical realm, (such as financial obligations, debt, materialistic desires, etc. ), spirituality needs to be a dedicated vibration in your life in order to reap the most benefits. We must always turn to spirit in order to obtain the best healing for our life – even if those issues are materialistic or strictly a physical concern. It also emanates an energy of domestic focus, family life, and a maternal/nurturing frequency. We must always be open and ready to receive in order to receive divine assistance. So by living in gratitude , and seeing service to others as a responsibility, we will receive the healing we need – achieved through love, connection to spirit, and selfless service to humanity. Angel Number 777 reminds us that spiritual evolution is the reason we incarnated here in this lifetime. This number highly resonates with the Collective Consciousness and enlightenment, so it sends a message that we need to embrace our unique talents and abilities to help raise the vibration of humanity. This may be a time where you are about to reap the rewards of putting divine wisdom to work in your physical life, having learned to listen to guidance from your Higher Self. The best way to teach others is to inspire, assist, and live your life by the example you want to set. Continue to look to higher sources for wisdom, including anything that will assist in your spiritual growth and soul ascension. Angel Number 888 sends a message regarding infinity, karma, and the supreme balance instated by the Universal Law of Cause and Effect. The Universe will always be supporting you, but by taking responsibility for your actions and being sure to act upon that which you need to, you will achieve success – in the physical realm and in the spiritual realm. This number can indicate abundance and monetary gain, or other rewards for living a balanced life and removing some of your karmic debt – your current life purpose is absolutely supported by Source and you are on the right path. 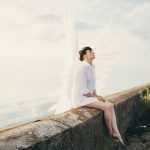 Angel Number 999 sends a message of the most divine of all: spiritual laws, lightworking, and prophecy… and that you should dedicate your life to its true soul mission and purpose immediately. This is the number of Lightworkers, so trust that you already know inside what your life purpose is, and you soon will be able to share it with the world. It may also indicate that there are certain aspects or phases of your life that are about to come to an end. Keep your intuition keen and eyes open for clues from your Higher Self and the Angels if you ever have a doubt of which direction to head, or whether you are on the right spiritual journey.